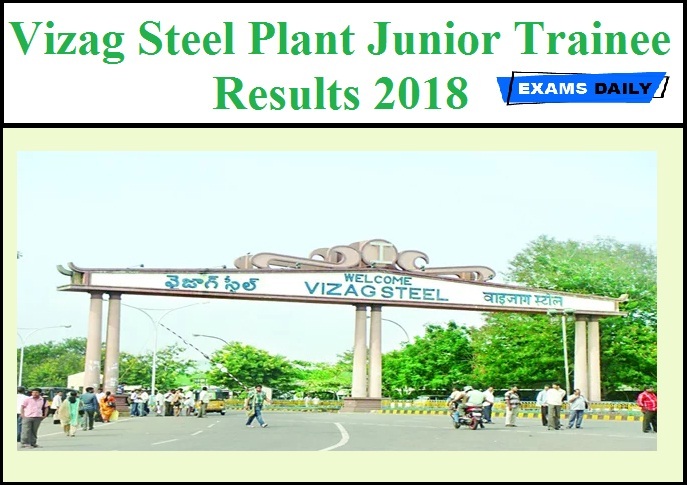 Vizag Steel Plant has released Results & Marks of the Online Test for the post of Junior Trainee. List of Candidates Appeared for Medical Examination on 14-11-2018 and found Medically Fit for the post of Junior Trainee-Rect Advt No. 06/2018. The Candidates are advised to report for Joining on 21-11-2018 at 9:00 AM in Multipurpose Hall, Ukku Club, Sector-5, Visakhapatnam Steel Plant, Visakhapatnam-530032. Candidates can download the Results from the following link.